Central America travel BETWEEN NORTH AND SOUTH, OCEAN AND SEA, LUXURY AND LOCAL Where to? Let's talk. FEW AREAS OF THE PLANET PACK IN THE DEGREE OF BIODIVERSITY AND TOPOGRAPHICAL VARIETY THAT IS FOUND BETWEEN THE DARIEN GAP AND GUATEMALA. This is Central America. With its chain of steaming volcanoes and emerald-green mountains that snake through the center of the countries. The exhilarating heights — in excess of 13,000 feet — come quickly. And the magical combination of sunshine, rain, altitude, and shade provides dry, cloud and rainforest habitats ideal for some of the most captivating wildlife in the world: ocelots, three-toed sloths, capuchin frogs, poison dart frogs, toucans, and the Montezuma oropendola, plus a mind-boggling variety of butterflies and moths, flora, and ecosystems. We’ll bring you deep inside these wonders, on this sliver of land between North and South, where you will discover an America unto its own. Hike. Zipline. Surf. Costa Rica invites its travelers to engage in adrenaline-fueled adventure tourism in all its forms. With its lush rainforests, unspoiled beaches, and an abundance of wildlife, Costa Rica is a fantastic choice for travelers of all types – solo, backpackers, couples, families, friend groups, adventure seekers, nature and animal enthusiasts, culture aficionados, and more. It’s a luxury Costa Rica vacation you’ll never forget. In the far northwest of Costa Rica, the dry forests of Guanacaste are a Unesco Natural World Heritage site. Further south, the beautiful white beaches of Costa Rica’s Nicoya Peninsula are hidden in secluded coves, while on the central Pacific coast, the laid-back hangout of Jacó is a magnet for sun-worshippers and surfers. In the mountain ranges dividing the Caribbean from the Pacific, the mighty Arenal volcano spews and splutters lava into the Costa Rican night sky. Luxury Costa Rica vacation bird-watchers will love the coastal mangroves around Tortuguero, a huge national park comprising coast and jungle-fringed waterways teaming with bird and insect life. And our team of Costa Rica travel agent specialists will present knowledge and understanding that will take you on some of the best rainforest trekking in Latin America, head to Corcovado National Park on the Osa Peninsula, Costa Rica’s most remote and possibly most rewarding wilderness. Best known for its canal, this steamy, Latin American paradise boasts beautiful beaches, rainforest, and a thriving capital city. Panama is an ideal introduction to Latin America, a place where tropical and urban exist in a haze of jungle and skyscraper. 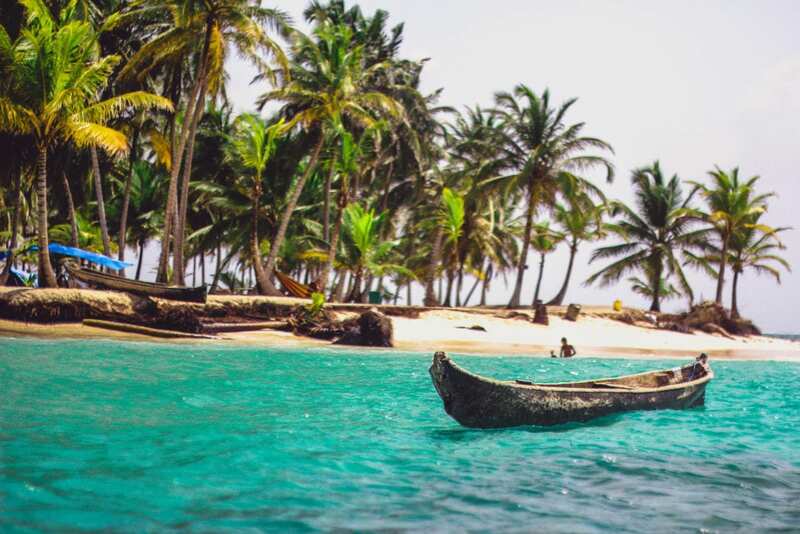 While Panama has long been a convenient passageway between east and west — the crossroads of two oceans and two continents — it has become one of the fastest growing tourist destinations in the world. Visiting Panama is like visiting two counties. Its capital, Panama City, is a dynamic metropolis. A boomtown whose skyline grows by the day. It is a country in its own right, a sprawling melting pot where luxury travelers, backpackers, adventure-seekers, and sun worshippers rub elbows in waterfront wine bars. Beyond Panama City is a different Panama: a colorful region of jungle and rainforest, 125 endemic animal species, rare birds, and capuchin monkeys. It’s a place admired by nature-lovers for its biodiversity and eco-lodges. With one foot in the Central American jungles and the other in the Caribbean Sea, Belize may be small, but it’s packed with adventure and culture. Your Belize luxury vacation delivers a tropical paradise for scuba divers and snorkelers. The Barrier Reef is the second largest in the world with more than 100 types of coral and some 500 species of tropical fish. Ask our Belize travel agent specialists about the beautiful beaches that are plentiful and ideal for relaxing and water sports. Inland, a network of national parks and wildlife sanctuaries offer a safe haven for wildlife – observe monkeys, many bird species, iguanas, and jaguars as you hike. Explore the ancient Mayan culture as well, on your Belize luxury vacation, as Belize is the home of the ancient Maya. Central America’s most diverse country captivates travelers with its extraordinary landscapes and culture that reaches back centuries. Visit the famous pyramids of Tikal. Be entranced by the stunning Spanish architecture of Antigua. Embark on breathtaking hikes through jungles, up volcanoes, over mountains, or below ground. After all that adventure, hit the beautiful beaches on both the Pacific Ocean and the Caribbean Sea. Volcanic landscapes, colonial architecture, sensational beaches, remote islands, wave-battered Pacific beaches, the pristine forests – it is hard to believe all this lies in one small country. Few destinations have such beauty as Nicaragua, yet remain undeveloped – before you know it, you’ve dropped off the tourist trail and into a world of majestic mountains, cooperative farms, wetlands thronged with wildlife, and empty jungle-clad beaches. Our team of Central American specialists, including Belize and Costa Rica travel agent specialists, are experts in the diversity of the continent. Our Costa Rica travel agent specialists will deliver rare interactions and custom experiences from the forests to the beaches. Or, our Belize travel agent specialists will work with you to craft something that meets your perfect sense of luxury, whether on the beach or hiking in ancient Maya. We’re here to personalize and custom-craft your luxury Central American travel itinerary. 58 Stars is a luxury travel agency, specializing in luxury travel in Central America, including luxury Costa Rica vacations, Belize luxury vacations, luxury Panama vacations, and more. Our global connections run deeper and further — from airlines, cruise lines, hotels, tour companies, resorts, and more — which gives us, and our Costa Rica travel agent specialists and Belize travel agent specialists, an unmatched advantage in delivering amazing experiences for our clients. Luxury travel means more to us than just 5-star hotels. It means crafting a personalized itinerary – whether it’s luxury Costa Rica vacations, a Belize luxury vacation, a luxury Panama vacation, or more - and delivering a trip you’ll remember forever. We love travel. And we’d love to be your luxury Central America travel agency, with specialized Panama, Costa Rica and Belize travel agent specialists. Let’s talk.